Sources in Spain have made the bold claim that star player Paul Pogba has been told by the club that he should stay put as they’re set to finalise the departure of Mourinho. CaughtOffside revealed earlier this season that Zidane had already spoken to Pogba about the possibility of being offered the United job, and Don Balon suggest this development will keep the 25-year-old at the club. 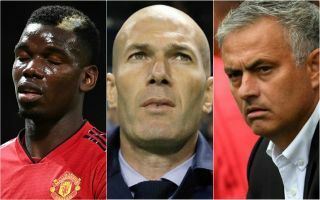 Pogba had been strongly linked with Barcelona, Real Madrid and Juventus, but working under Zidane could be a game-changer for him and the rest of the team, bringing them far closer to rivals Manchester City and other top teams in the Champions League.